You may not like Big Macs as much as the patron saint of McDonald's, that guy who's eaten over 30,000 of them, but there's a good chance you're a fan. There's just something so endearingly excessive about a third bun, who could refuse it? 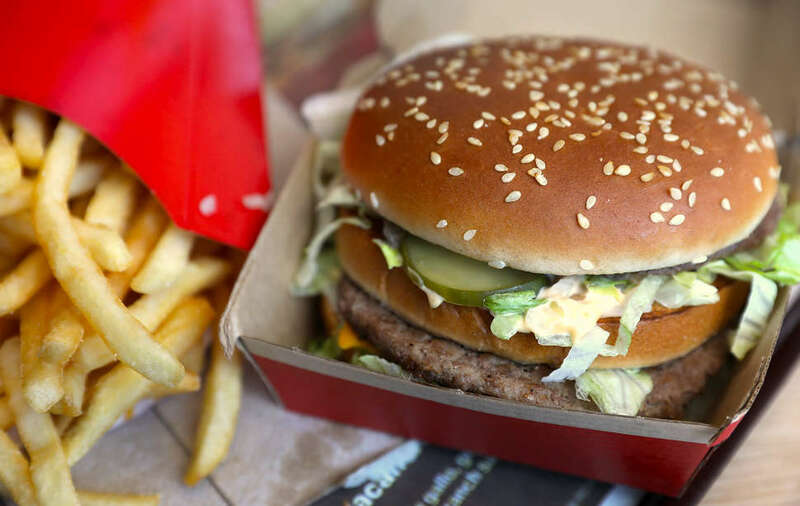 It's now been 50 years of tertiary bread layers, and McDonald's isn't about to let that pass by unfeted, so there's even an anniversary miracle in the works, starting on Thursday, August 2: You're getting a free Big Mac. You can't just walk in the store with your mouth open to receive the host of fast-food communion. There's a little more to it than that. The celebration revolves around a limited-edition "currency" called MacCoin that will enter the economy (but not really) at lunchtime on August 2. One of these coins, which McDonald's will hand out with the purchase of a Big Mac, gets you another Big Mac for free. But you also might want to collect them or give them to someone else. If you're not into gift-giving or memory-making though, this is essentially a buy-one-get-one coupon, but circular and shiny. So, all you have to do is buy a Big Mac and get a coin starting Thursday until supplies run out. Over 6.2 million of these coins will be distributed to 50 countries worldwide, so you don't have to worry about another Rick & Morty Szechuan sauce debacle. You can start redeeming them for free Big Macs on Friday, August 3. These MacCoins aren't just a cheap way to house two Big Macs consecutively. They're also collector's items -- like stamps, or a celebrity's hair, or old school Happy Meal toys. It's specifically a coin as an allusion to the famed Big Mac Index, an economic tool invented by The Economist that uses the price of the Big Mac to compare the purchasing power of different international currencies. The coins will showcase five different designs, one for each of the Big Mac's decades, with shoutouts to the art, music, and pop culture of the period, and they'll also feature seven languages -- Arabic, English, Indonesian, Mandarin, Portuguese, French, and Spanish -- along the rim of the coin in tribute to the variety of countries participating. Here's a breakdown of the cultural references on the five coins, as described by McDonald's: the ‘70s, showcasing the decade’s flower power; the ‘80s alluding to pop art; the ‘90s defined with bold, abstract shapes; the early ‘00s specifically focusing on the technology that was at the forefront of the turn of the century; the ‘10s MacCoin calling attention to the evolution of communication. Still, the greatest tribute of all might be eating two Big Macs in a row.